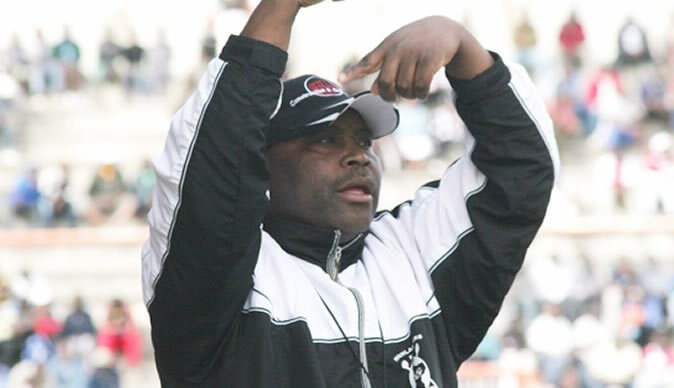 MADINDA Ndlovu has emerged as a front runner to take over the reins at Highlanders after it emerged that he met the Bulawayo club's top hierarchy in Harare on Friday where preliminary talks over a possible contract were conducted. Highlanders chairman Modern Ngwenya told NewsDaySport that they met Ndlovu on the sidelines of the Soccer Stars banquet last Friday. He was, however, quick to dismiss claims that they used the occasion to discuss the possibility of the club's former star taking over the coaching reins from Erol Akbay, who left at the end of the season. But sources insisted that they discussed the contract, with Ndlovu's younger brother Peter, who was the guest of honour at the gala, playing an intermediary role. "It's true we met with Madinda in Harare. The atmosphere presented an opportunity for us to talk about Highlanders. Peter was not happy with the position of the club and that we could not provide any soccer star this year. He (Peter) loves Highlanders. There was nothing official we discussed about the job. "When Highlanders people meet, we talk about Highlanders. We talk to our former sons to see if they have qualifications and if they are available for the job. We are still in the process of identifying the coach," Ngwenya said. Highlanders have publicly stated that they will hire a former son to coach the club next year following the dismal performance of Dutchman Akbay, whose contract was not renewed. Bosso finished sixth on the log table, 25 points behind winners FC Platinum, and failed to provide a single player on the Soccer Stars of the Year calendar for the first time in eight years. A source yesterday claimed Ndlovu, who has been working in Botswana lately, will be on the touchline for Bosso when the new season kicks off early next year. "It's him, he will be the coach next year, everything else does not matter for now, Whether there are sticking issues at hand, whether this has been agreed to and that has not been agreed to is a story for another day. What matters is that it is him," the source said. Ndlovu, the source added, has demanded to work with Bekithemba "Super" Ndlovu and Tembo Chuma as assistant coaches, two people that the club had initially earmarked for the top coaching job. Super and Chuma are currently attached to troubled How Mine. Chicken Inn coach Rahman Gumbo has also been linked with a switch to Highlanders. Following the drab season under Akbay, the club members during an extraordinary general meeting agreed that the next coach at the Bulawayo giants must be a Highlanders' son.